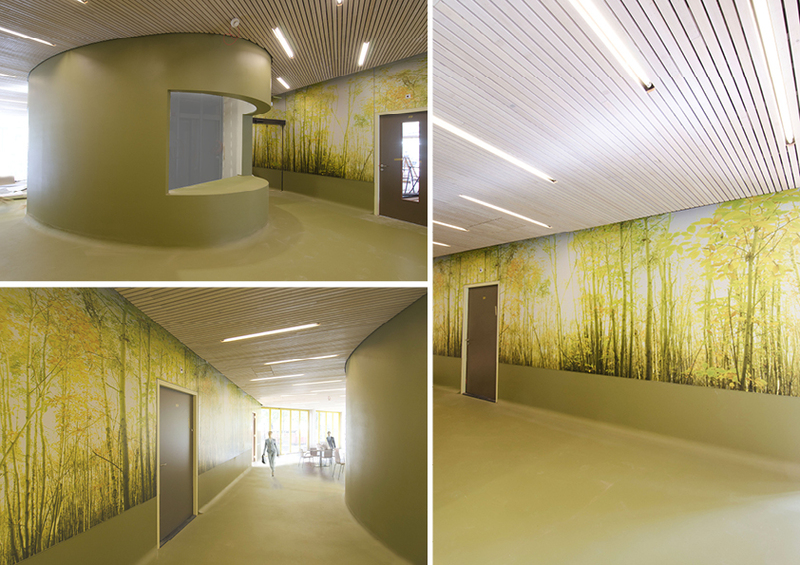 In 2013 I was commissioned by Rotterdam-based architects to create 100 metres of photographic panoramic woodland imagery for a day-care centre in Schiedam, near Rotterdam. The images, the largest of which was 37 metres in length, were shot using long exposures and hand-held filters and and stitched together in Photoshop. They were printed directly onto wood in Belgium to create the walls of the building's foyer. The imagery was also printed onto glass to form the entrance of the building. A second commission, of blue woodland imagery, followed in 2016; this will be incorporated into a sister-building on the same site - planned for completion in spring 2017.